Is there a better alternative to Chainz 2: Relinked? Is Chainz 2: Relinked really the best app in Puzzle category? Will Chainz 2: Relinked work good on macOS 10.13.4? Chainz 2: Relinked...It's link-matching madness with Chainz 2: Relinked. Rotate the colored links to make matches of three or more in Classic Mode. Pit your link-matching skills against the clock in Arcade Mode. Ponder every precious move in Strategy Mode. Twist your brain and clear all the links in Puzzle Mode. 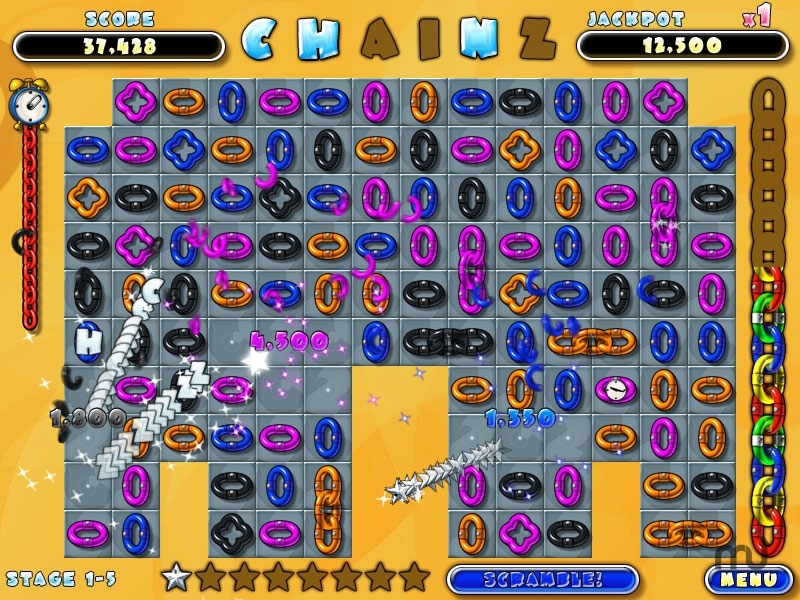 Add in awesome sound effects, a zippy new music score, and sensationally updated visuals, and Chainz 2: Relinked is sure to keep you chained to your seat! Chainz 2: Relinked needs a review. Be the first to review this app and get the discussion started! Chainz 2: Relinked needs a rating. Be the first to rate this app and get the discussion started!